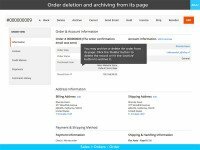 Give your Magento 2 orders workspace a neat and clean look with the help of the Delete Orders extension from Aitoc. Delete all the redundant real or test orders along with related documents to keep your records well-organized. You will be able to set up a cron job to schedule the removal or archiving and put archived orders back whenever you need them. 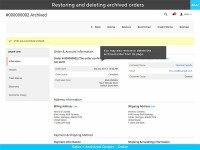 The solution allows to schedule order deletion and/or archiving of irrelevant order records. 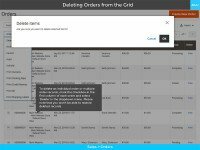 You will be able to adjust this process to your specific business workflows and so get your orders deleted or archived automatically just when you need it, reducing the precious time spent on order handling. 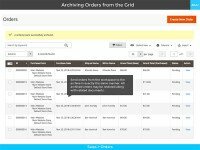 Keeping the order grid well-organized is key to achieving the overall accuracy of document management at any store. Merchants using our extension are able to perform the timely clear-out of unnecessary orders and corresponding documents, ensuring that the order grid always remains up-to-date and neat. The efficient and accurate order keeping brings a high level of control and transparency into the order management and fulfillment process. This streamlines order processing times, resulting in a faster and more optimized order execution. The extension is so simple to use. I experiment a lot on my staging site, and it helps me clean up orders tab from time to time. The manual that comes with the extension is a nice addition, helped me with the installation. All in all, it appeared to be not that hard. 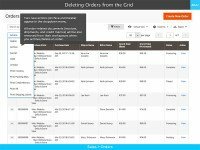 Nice and light module to delete all old orders. I keep my records neat thanks to this little helper. And this can be automated, so once I set the rules and schedule them, I don’t need to think about old orders anymore. Love that i can archive in bulk! 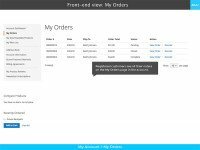 Set custom IDs for orders, invoices, shipping documents, and credit memos to manage your sales doc numbering in a convenient way.